Throughout our daily activities, many Canadians take deliberate steps to reduce our impact on the environment – simple things like turning off the lights, reducing the thermostat by a few degrees, or recycling. All of these little actions add up to make a big difference, but many of us are unaware of steps we can take to make our vehicles more efficient and emit fewer greenhouse gases while they run. According to Environment and Climate Change Canada, each year an average light-duty vehicle produces about three times its own weight in carbon dioxide, and passenger cars and light-duty trucks account for 13% of Canada’s total carbon dioxide emissions. Although our vehicles produce greenhouse gases, there are steps we can take to reduce their impact on the environment. Here are a few ways you can make your car a little greener. If you notice that your vehicle is getting poorer gas mileage than you are used to, your problem could likely be solved with a little maintenance. Simple fixes like keeping your tires properly inflated can save you up to 4% at the pump, while fixing serious mechanical issues could save you anywhere up to 40%. Maintenance is an easy way to get your vehicle be more efficient, and save you money over time. There are many things to consider when purchasing a new vehicle, such as size, style, cost, brand, age… At times it can feel like too many things to think about. Make sure you give careful thought to the mileage and green features of vehicles you are considering. A more environmentally friendly car will not only reduce your carbon footprint, but will save you serious money over the life of the vehicle. Our driving style can affect fuel consumption to a remarkable degree. Aggressive driving, such as speeding or fast acceleration after stop lights can increase fuel consumption by up to 40%, without getting you to your destination much faster. Simply by reducing your speed and smoothing out your driving style, you can reduce your emissions, stay safer on the road, and give your passengers a more comfortable ride. When looking at replacement parts for your vehicle, try to find remanufactured parts rather than brand new. Remanufactured parts will work just as well and last just as long as new parts. 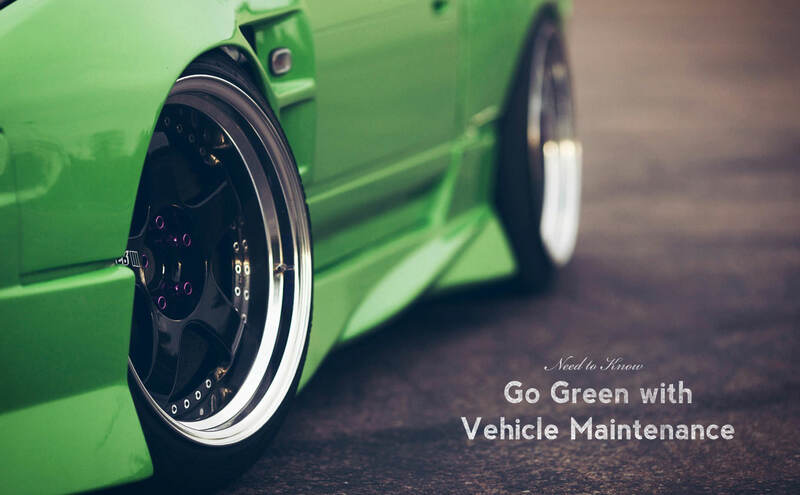 Not only are remanufactured parts usually cheaper than new, but because less energy and raw materials are required to produce them, they are better for the environment too. With these four tips you can save money while reducing your vehicle’s impact on the environment; that sounds like a pretty good deal to us.